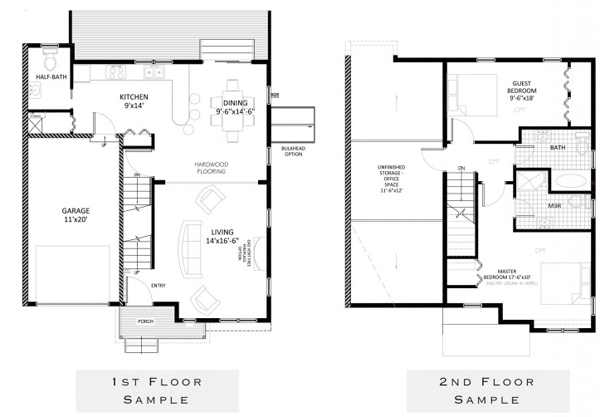 If you're looking for a nice, new condo building in Portsmouth, look no further than Seafare condos. This brand new complex is on the northern end of Aquidneck Island and features 33 newly constructed residences clustered into attractive duplex and triplex configurations to preserve as much open space as possible on 8 landscaped acres of land. Seafare condos are surrounded by woods and walking paths and each residence is sited to ensure maximum privacy and views. You'll find these energy efficient homes beautifully appointed, attractively priced (now starting at $189,000) and super customizable! 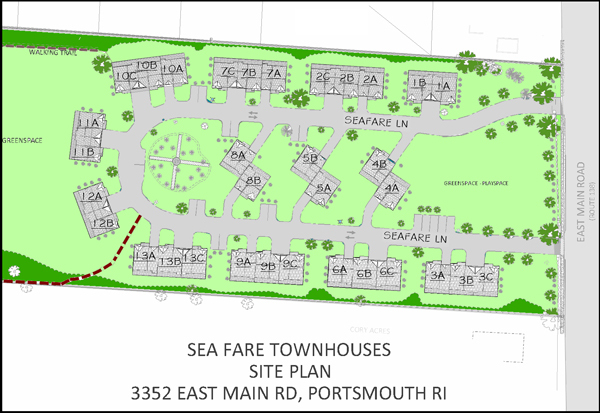 Scroll down to view Seafare condos for sale, or read more about this exciting new community in Portsmouth, RI. Take a moment to browse all new construction in Rhode Island. Seafare condominiums offer residents a carefree, maintenance-free lifestyle just one short mile from Route 24. With prices starting at $189,000, each condominium residence includes a one-car garage with automatic door opener, covered deck, full basement, hardwood floors, granite counter tops, solid wood cabinets, central air and a variety of Energy Star 2.0 features like double paned, insulated low E glass windows and doors. Seafare Residences is conveniently located near shopping at the Eastgate Shopping Center, plus it's not too far from all the other great shops and restaurants in Newport. 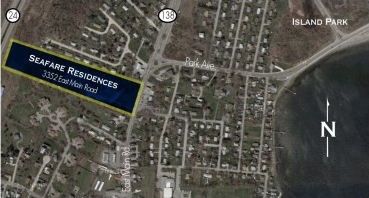 Take a closer look at the new Portsmouth neighborhood you'll be proud to call home. For a showing or more information please contact Chris Eyre or visit the website at Seafare Residences for more details.